TOKYO, Japan, September 9, 2013 (ENS) – Tokyo Mayor Naoki Inose is a happy man. On Saturday his city was named as the host of the 2020 Summer Olympic Games. And less than a week ago Tokyo won an inaugural City Climate Leadership Award for the world’s first city-level greenhouse gas cap-and-trade program. Mayor Inose and many other Japanese people had worried that the ongoing radiation leaks from the crippled Fukushima Daiichi nuclear power plant 150 miles to the north would taint Tokyo’s Olympic bid. “I hope that the Games will bring some form of encouragement to the areas affected by the 2011 earthquake and tsunami,” Inose said. The operator of the Fukushima Daiichi nuclear power plant where nuclear meltdowns occurred as a result of that March 2011 earthquake and tsunami said today it has recorded a spike in the level of radioactive substances in groundwater in and around the damaged plant. Tokyo Electric Power Company said contaminated waste water that leaked last month from a temporary storage tank may be spreading. TEPCO officials said high levels of strontium and other radioactive substances were measured in water collected on Sunday from a new well about 20 meters north of a tank near the No. 4 reactor that leaked last month. TEPCO officials said they found high levels of strontium in a new monitoring well on Sunday, and on Thursday a sample collected from a well on the coast side of the No. 1 reactor building showed high levels of tritium. Yet in Tokyo radiation levels in the air, water and soil are too low to be detectable, the city’s regular testing shows. Government and TEPCO officials met for the first time today as part of a task force to stop radioactive water leaks from the plant into the Pacific Ocean. Senior vice industry minister Kazuyoshi Akaba and about 20 other officials were at the meeting in Naraha, a town near the plant. 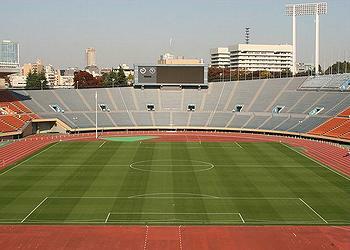 At the same time the Japanese government is starting preparations for the 2020 Summer Olympics. Prime Minister Shinzo Abe and all cabinet ministers will meet Tuesday to unify their efforts to make the 2020 games a success in a safe environment. The government pledged earlier this month to take the lead in solving the problems at Fukushima Daiichi. In addition, Tokyo was honored on September 4 by Siemens and the C40 Cities Climate Leadership Group at the inaugural City Climate Leadership Awards given during a ceremony in London. A seven-member judging panel consisting of former city mayors, architects and representatives of the World Bank, C40 and Siemens evaluated 37 projects in 29 cities as award finalists. At the awards ceremony the winning cities in 10 award categories were named. 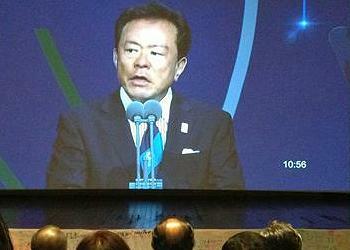 Tokyo won the award in the category of Finance and Economic Development for its Tokyo Cap-and-Trade Program. The Cap-and-Trade Program sets mandatory targets for reduction in overall greenhouse gas emissions for large-scale emitters, who must submit and make public their annual emissions reports and emissions reduction plans. “The program also greatly helped us in overcoming the post-earthquake power crisis in 2011,” Arata said.